Today's star is the elusive Greta Garbo. TCM is celebrating the career of Greta Garbo with 13 movies on Aug. 26. Here's what you need to know about this very private actress. FYI: TCM sometimes changes the air times and /or movies, so you can go to www.tcm.com to check the updated schedule. Born: Sept. 18, 1905, in Stockholm. Died: April 15, 1990, in New York City. She is buried in Skogskyrkogarden Cemetery in Stockholm. 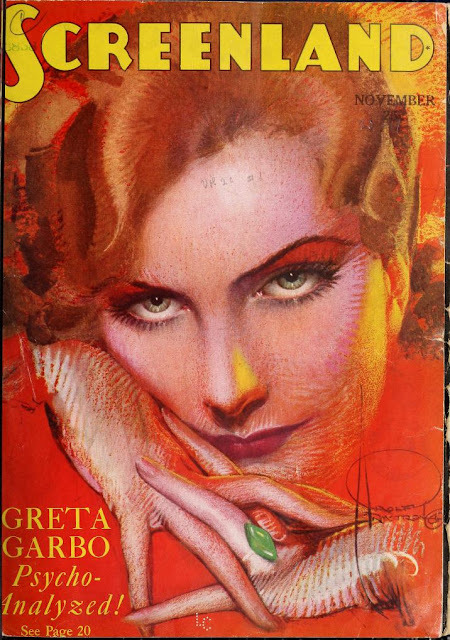 AKA: Garbo was born Greta Gustafsson. Academy Awards: Garbo received three Best Actress nominations: in 1930 for both Anna Christie and Romance, in 1937 for Camille, and in 1939 for Ninotchka. Brief bio: Garbo grew up in Stockholm as the daughter of a working class family. Her father died when she was 14, so she began working in a department store to support the family. Store managers recognized her great beauty and placed her in newspaper and film ads, where an eagle-eyed director named Erik Petschler spotted her. He gave her small parts in his films and encouraged Garbo to study at the acting school for the Royal Dramatic Theater. Garbo had a rapid rise after she graduated in 1924. She quickly became a star in Swedish and German films, and she had a contract with MGM by the ripe old age of 20. Garbo was a sensation in her first American film, Torrent (1926), and from there she never looked back. She made hit after hit for MGM in the 1920's and 1930's, but the public tired of the prestige dramas she favored by the late 1930's. Garbo successfully rebooted her image in the wonderful romantic comedy, Ninotchka, but she only made one more film, Two-Faced Woman, before retiring in 1941. 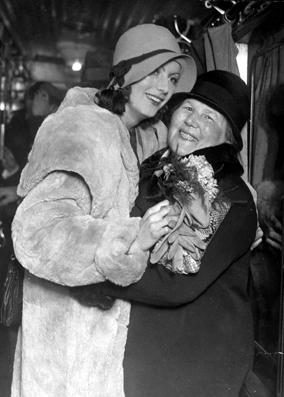 Garbo lived a quiet life in New York City for the next five decades before her death from pneumonia. Greta Garbo and her mother, Anna, in 1939. 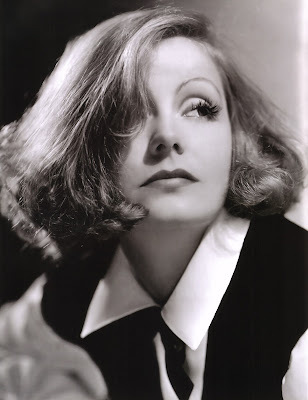 Fun Fact: Garbo was voted the most beautiful woman who ever lived by the Guinness Book of World Records. 1.There's a lot of great Garbo on TCM today, so I'll pick a silent, a pre-code, and a late 1930's movie. Susan Lenox: Her Fall and Rise (1931), airing at 11:30 a.m., is a first-rate soaper co-starring Clark Gable about a neglected farm girl (Garbo) who runs away from home for the bright lights of the big city. 2. Wild Orchids (1929), airing at 9:45 p.m., is my favorite Garbo silent. She gives a riveting performance as a neglected wife who falls for the wrong man (Nils Asther). 3. Camille, airing at 1:45 a.m., is my favorite Garbo talkie. She is transcendent as a kept woman in 19th century Paris who sacrifices everything for love. A great movie not featured during Summer Under the Stars: Queen Christina (1933) often gets criticized for being an overly long biopic, but it really is Garbo's quintessential performance. Garbo seems to be having a great deal of fun playing the 17th century Danish monarch (especially during the gender-bending parts), plus director Rouben Mamoulian's final close-up is one for the ages. Old Hollywood video: A clip of Garbo's costume tests for Queen Christina. She never liked posing, and she looks so over it here. Fan Magazine Flashback: Garbo covers Screenland magazine. Courtesy of the Media History Digital Library. Old Hollywood Archives: Garbo finds love with Melvyn Douglas in Ninotchka. For more Summer Under the Stars articles, go here. There'll be plenty more on Garbo on social media. Follow me on Tumblr, Google+ or Pinterest or like us on Facebook. Follow us on Twitter @oldhollywood21.